For many of our patients, the appointments in our office for headache and migraine relief are a lifesaver. Millions of people suffer from regular headaches and migraines. In many cases, over-the-counter medications like Tylenol or ibuprofen are simply not enough to decrease the pain and discomfort they cause. For that reason, people frequently live with a debilitating condition that can impact their quality of life. Patients who are tired of living with them will find relief by visiting our office for help. Too many people expect to experience a headache and therefore do not visit a physician when they become regular. Many people see them as a natural part of life and something that they just have to deal with. This is not the case. 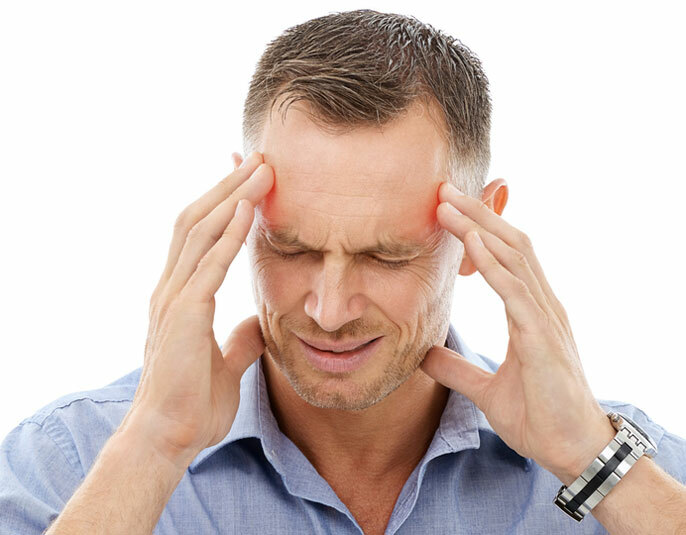 As a provider of headache and migraine relief, we have helped people who are suffering from these symptoms to regain control of their health and their life. After all, even suffering from one of the above symptoms can make it difficult or impossible to go to work, take care of children, enjoy time with family or to simply be a functioning member of society. The treatment options we recommend are going to be based entirely on what we believe is causing a person to have headaches or migraines in the first place. For example, anyone who is suffering from a tension headache that is caused by the muscles or ligaments pulling on the neck and head would be best served by having a chiropractic adjustment combined with massage. In this case, addressing the musculoskeletal system could help to reduce or eliminate headaches by preventing the tension in the first place. Some patients may require help with pain management. Although our intent is always to identify the root cause of the problem and to try to eliminate it, the reality of migraines is that sometimes, pain management is necessary, at least temporarily. We will also explore some natural remedies that can help to alleviate or reduce the occurrence of headaches. For example, many people do not realize that if they are dehydrated, it can lead to terrible headaches and even migraine type symptoms. Being sure to drink enough water is going to be critical for anyone as part of the treatment process. Ultimately, our treatment recommendations are always based on the exact needs of our patients and after considering their overall health. Because of that, the best way to determine how we can help you to experience headache and migraine relief is to call our office and schedule a consultation. We welcome you to do so since this is often the first step towards experiencing relief.